Dead Rising 4 loses the “Xbox One console exclusive” label on December 5. The full game is coming to PlayStation 4 as Dead Rising 4: Frank’s Big Package, including all downloadable content and a brand new “Capcom Heroes” game mode. It’s like a game of the year edition, only without being anyone’s game of the year. The $49.99 bundle was not unexpected, and it’s certainly punctual. Dead Rising 4 was announced at E3 2016 as a one-year timed exclusive for the Xbox One and PC. The Xbox One version of the hack-and-slash horror game went on sale on December 6 last year. Almost exactly one year later, PlayStation 4 owners get their turn. Frank’s Big Package is stuffed with every bit of downloadable content released for the game, including mini-golf and the “Frank Rising” story add-on. 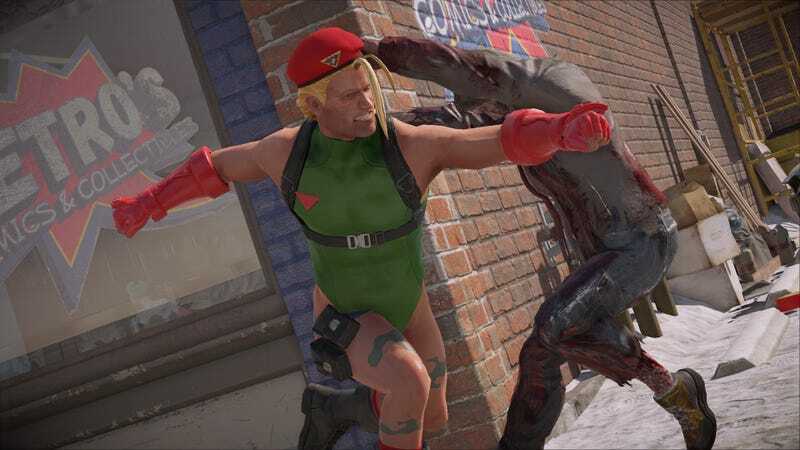 It also introduces Capcom Heroes, a special mode that sees Frank West dress up as other Capcom characters, complete with special weapons and abilities. They are really digging deep here. Owners of the Xbox One, Windows 10 and Steam versions of the game will receive the Capcom Heroes mode as a free update when Frank’s Big Package is released. It will be interesting to see how Dead Rising 4 does on PlayStation 4, given the lukewarm reception it received on other platforms. Is there any excitement left for Frank’s Big Package?